Want to share the views you had with others? 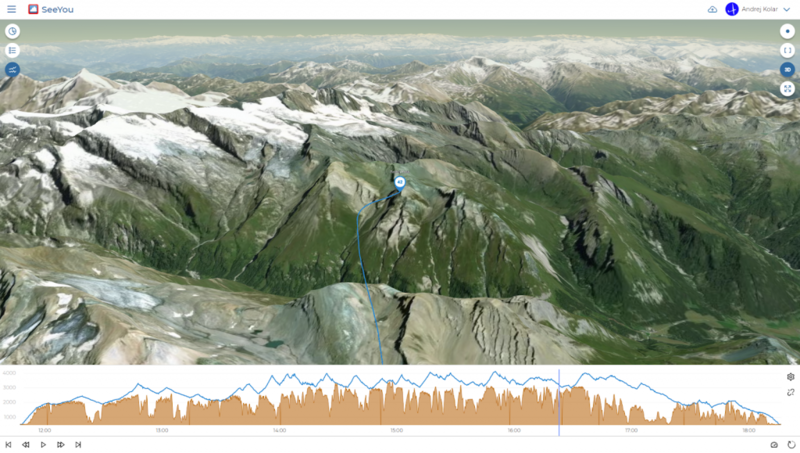 Switch to 3D view and wow your friends. 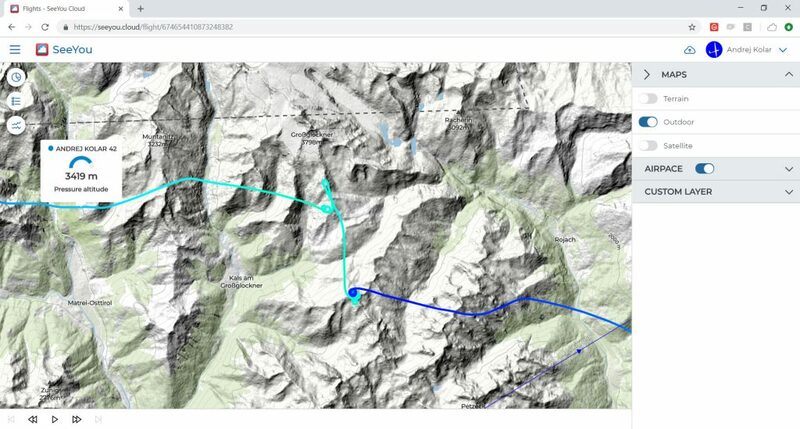 Depending on where you fly and what you want to analyze you can choose between two map color schemes - Terrain and Outdoor. Click around the map to create a perfect plan for your next flight. Make sure you enable the Weather integrations from TopMeteo and SkySight. Flip the Statistics button and explore how you are doing. 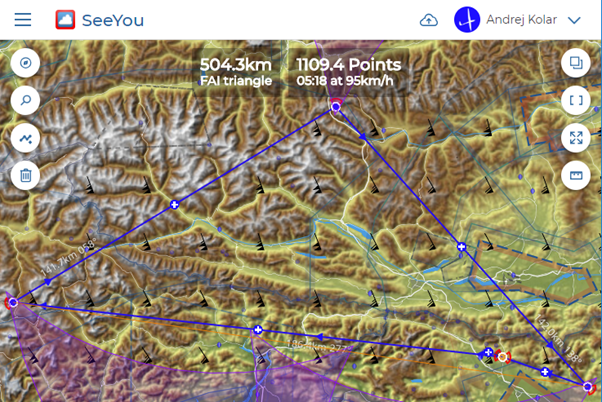 Compare your stats with others to see where you already excell and where you can improve on your next flight. Will SeeYou for PC continue? Yes! In fact SeeYou X for Windows has been released together with SeeYou.Cloud. The two work hand in hand. SeeYou for PC will continue to be the tool to use in an environment where internet access is difficult and for features that are not implemented in SeeYou.Cloud (yet). 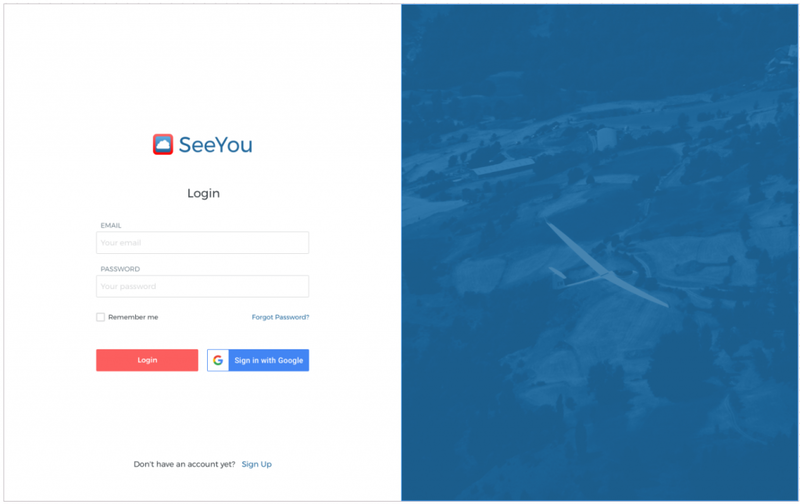 If your SeeYou subscription is active, you simply go to SeeYou.Cloud and login. If you let your subscription pass, Upgrade now to enjoy the best of SeeYou – on your Mac, iPhone, Android and everywhere else!